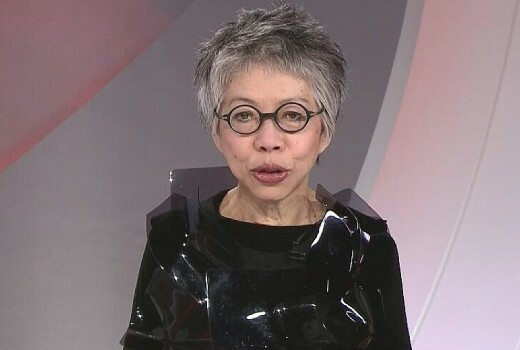 “I take my leave with sadness,” Lee Lin Chin told viewers last night. A chapter in SBS broadcasting came to a close last night as beloved news presenter Lee Lin Chin signed off for the very last time. Proving again that she is individual until the very last, Lee Lin wore a striking black outfit, which had social media describing it as everything from black plastic to PVC and Darth Vader in style. Her final SBS World News broadcast included tributes from fellow presenters Craig Foster, Michael Tomalaris, Janice Petersen and returning presenter Anton Enus. CEO Michael Ebeid also visited the studio to bid farewell while crew gathered to say goodbye. The final bulletin was broadcast on the big screen at Federation Square in Melbourne and #LeeLinChin was trending at #1 on Twitter last night. Recently confirming she has not retired, media reports claim she is already fielding offers from other networks. Farewell Lee Lin Chin, though I hope we get to see you on SBS one more time in 2020 when SBS hopefully celebrates 40 years on air (24 October 1980). The channel has produced a few legends you being one and Les Murray another in it’s 38 years on air, hopefully the legacy you helped create will continue.